In April 2015, we won the Limburg innovation award with the "Hesbaye Mustard" project. With this helping hand we started developing this new Hesbaye regional product in spring. 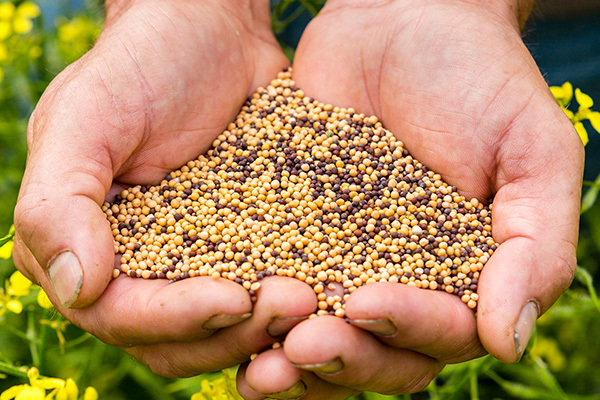 We sow, harvest and produce our mustard according to traditional methods. We grind it ourselves with a traditional millstone, adding organic vinegar, salt, herbs and honey from our own bee populations. 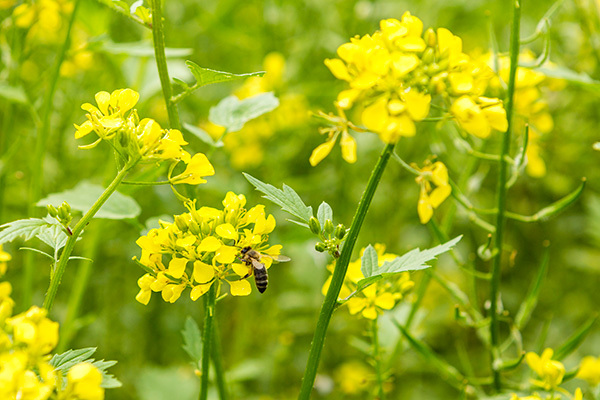 Our mustard is produced in a 100% bee-friendly way. We do not add colouring agents, preservatives or flavouring agents. The result is a mustard which is spicy but not too sharp, and leaves a mild aftertaste thanks to the honey. Available directly from our company and in different points of sale in Limburg. 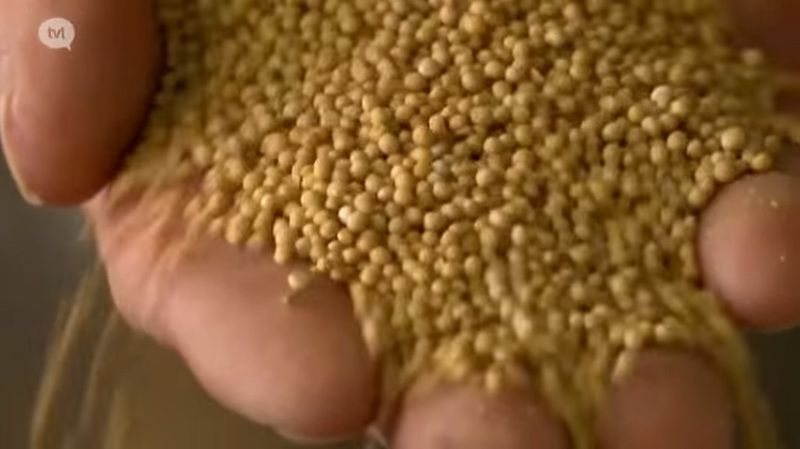 Below you can also watch a video about our mustard! Heat a large heavy-bottomed casserole and melt some butter and/or olive oil in it. Sear the pieces of meat until they are golden brown. Season the meat with salt and pepper while cooking. Add the onions making sure they do not brown too much. Add the Hesbaye beer. Stir to release all the sticky bits from the meat while bringing the beer to the boil. Tie a few bay leaves and some sprigs of fresh thyme together and let them simmer in the casserole. Add the clove and the liquid Jacobsfruit pear syrup. Spread a generous helping of Jacobsfruit Hesbaye mustard on the brown bread. Place the slice of bread in the casserole with the mustard-covered side facing down. Leave the stew to simmer over a low heat for one and a half to three hours, without a lid on. Stir regularly, checking whether the meat is cooked enough. As soon as the stew sauce has the desired thickness, place the lid on the casserole. Finish to taste with a swig of vinegar, salt and pepper.